Royalty-free vector illustration of a running businesswoman with a clockwork winder attached to her back. Unlimited commercial use. Her looks says she’s gotten carried away by the momentum. Can she be stopped? 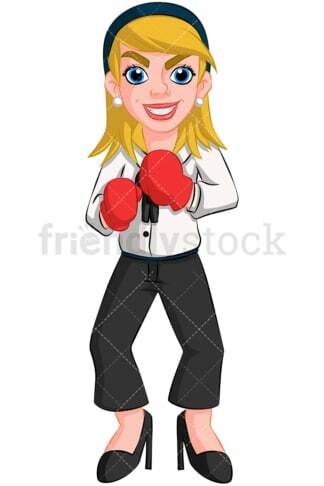 Royalty-free vector illustration of a businesswoman wearing boxing gloves with her hands held up as if she’s ready for a fight. She looks determined to win! Royalty-free vector illustration of a smiling businesswoman with her briefcase easily jumping over an obstacle. She’s got this! 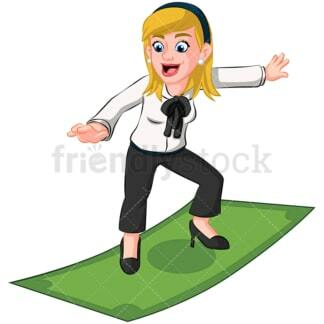 Royalty-free vector illustration of a businesswoman riding a wave of success on a large bill of cash. She’s got a wide grin as if it’s been a lucky day! 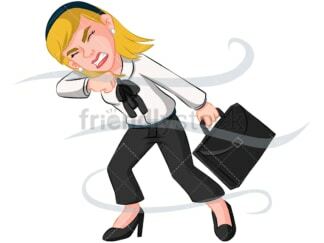 Royalty-free vector illustration of a businesswoman trying her best to carry a heavy weight on her shoulders. She’s about to fall over but isn’t ready to give up! 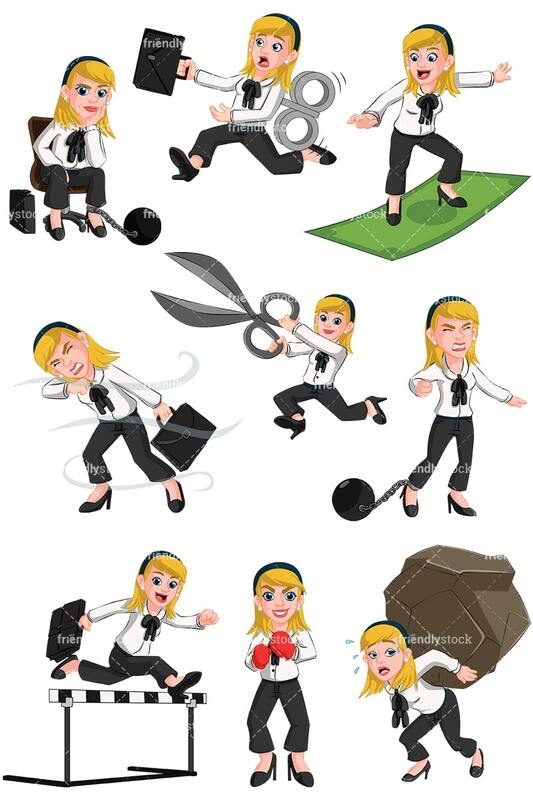 Royalty-free vector illustration of a businesswoman running with scissors held out in front of her. She’s a bit of a rebel and takes pride in breaking the rules. Don’t fall! 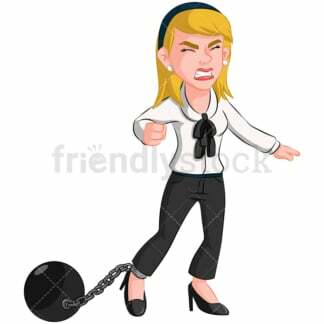 Royalty-free vector illustration of a defeated businesswoman who’s being held back by a ball and chain. She’s trying to pull away but having no luck. What an awful job! Royalty-free vector illustration of a businesswoman tied down by a ball and chain while sitting in an office chair. She’s discouraged at being held back! Royalty-free vector illustration of a businesswoman walking through a windstorm. She’s fighting to hang on to her briefcase. Can she do it?